When a filmmaker like James Cameron makes a promise there is every reason to believe that sooner or later it would be delivered. In the case of Alita: Battle Angel, it took Cameron about 16 years to deliver. Despite being hooked to Yukito Kishiro’s manga Gunnm on which Alita: Battle Angel is based, Cameron kept on delaying the project owing to his commitment to Avatar and its sequels. 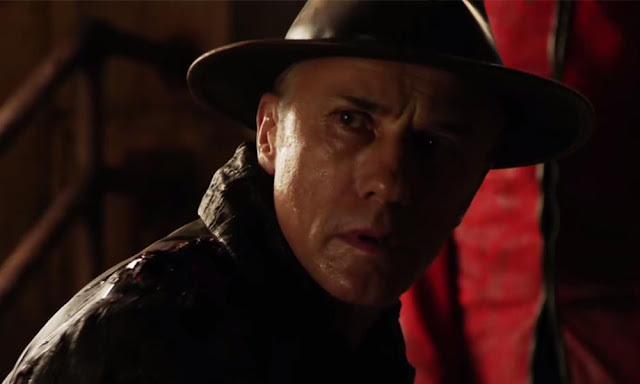 He finally decided to hand it to Robert Rodriguez who is known for helming projects like Sin City and Planet Terror. Alita: Battle Angel is essentially a cyberpunk action film revolving around a female cyborg named Alita. Awakened in a post-apocalyptic world by a kind-hearted Dr. Ido, Alita seems to have no memories of its past. Inhabiting the treacherous Iron City, Dr. Ido tries his best to protect Alita from the dangers lurking in the city’s dark alleys but the fearless cyborg is hell-bent on discovering her past. But as dark secrets begin to reveal themselves, Alita develops a tender relationship with the street-smart Hugo. What ensues is a deadly race against ever increasing odds for both Alita and Hugo as they try to escape to the utopian lands of Zalem. 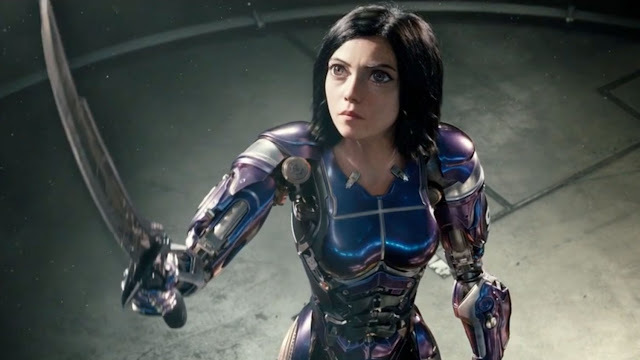 Now, of course, we have seen many cyberpunk stories like Alita: Battle Angel from Hollywood in the past as well but what make Alita unique are its cutting edge visuals and action choreography. Also, the character of Alita offers far more than just another cardboard superhero. At a time when cinema is facing stiff competition owing to the rise of OTT platforms as well as the growing popularity of Virtual Reality (VR), there is a greater need for spectacles like Alita: Battle Angel. For, unless we produce enough big event films that can draw the audiences to the theatres, it would be very different to keep the spirit of moviegoing alive. Alita: Battle Angel has released in India a week before starting its theatrical run in the US. Back in December last year, a special 30 minute preview of the film was released by the makers as part of the promotional campaign to introduce the viewers to Alita’s world and its characters. The sneak peek preview itself had hinted that the makers have plans of building an entire franchise around Alita and the film’s ending confirms that. But a lot will depend on how it gets received at the global box-office. Alita: Battle Angel certainly needs to be watched on the biggest screen possible in order to completely experience its first-of-a-kind action choreography and cutting edge visuals. IMAX 3D is perhaps the best way to watch it. A version of this review was first published in The Sunday Guardian.